#aerobd.news : Falcon Aviation, the UAE’s leading business aviation services, charter and aircraft management Company, is bolstering its service offering at its new Dubai South VIP Terminal at Al Maktoum International (DWC), with an inauguration of a new VIP Heliport. The Heliport will be run and managed by Falcon Aviation personnel and will be available to all operators, corporates and private individuals arriving with their business jets at the Dubai South VIP Terminal. Demand is expected especially from customers arriving from all over the GCC, India and the Far East. The new helipad, situated adjacent to the VIP Terminal, has space for three large executive helicopters. It will be open for use on an ‘as required basis’ with just two hours’ notice. 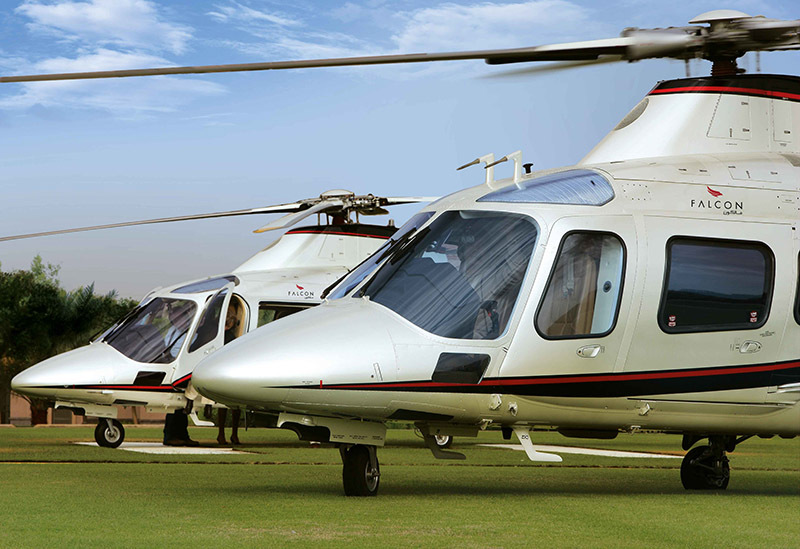 Falcon initially envisages demand for five movements a day and will have two helicopters available for charter, complementing its established fixed wing and helicopter business at Al Bateen Executive Airport, Abu Dhabi. The Heliport, the first in the region, will facilitate quick and convenient helicopter charters between Dubai and Abu Dhabi in just 30 minutes. Other significant time savings on popular destinations include: Dubai South to Ras Al Khaimah – 45 minutes; Dubai South – Diba, 45 minutes; Dubai South- Fujairah 40 minutes and to Qasr Al Sarab Resort – 1 hour, 15 minutes. We opened our luxurious FBO last December coinciding with MEBAA, and now we are opening the new Falcon Heliport for VIP customers and corporates. Our 20,000 sqm MRO hangar facility is underway and will be completed by end of 2018. Falcon Aviation will offer dedicated maintenance support for Gulfstream, Embraer and Bombardier aircraft accredited by the GCAA, FAA and EASA. It will also offer 24/7 AOG support and aircraft parking.